This sweet, sticky, pull-apart bread is simple to make and perfect for a High Holiday meal. 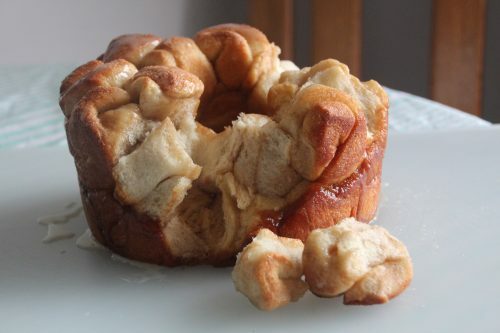 Monkey bread is fun to eat no matter how old you are. But making it can seem like a time-consuming chore. If you don’t have the time or patience to make and proof your own yeasted dough, there’s a simple shortcut: refrigerated biscuit dough. Cutting premade dough into pieces and then rolling them into balls bypasses the bulk of the work so you can get right to picking apart and enjoying this fun-to-eat sweet. Preheat oven to 375 degrees and place oven rack in middle position. Generously grease tube pan. Cut biscuits into 1-inch pieces and roll into balls. Combine ¼ cup granulated sugar and 1 teaspoon cinnamon in bowl. Roll each ball in cinnamon-sugar. Place one layer of dough balls in pan. (It’s OK if dough balls are not flush with sides of pan or each other.) Drizzle about ¼ of melted butter and sprinkle about ¼ of brown sugar over first layer of dough balls. (It’s OK if it’s inexact. It’s not important for each dough ball to be covered with butter or sugar; the ingredients will come together as they cook.) Repeat with remaining dough balls, sprinkling with butter and sugar between layers. Transfer pan to oven and bake for 40 minutes on middle rack, until top is golden brown. 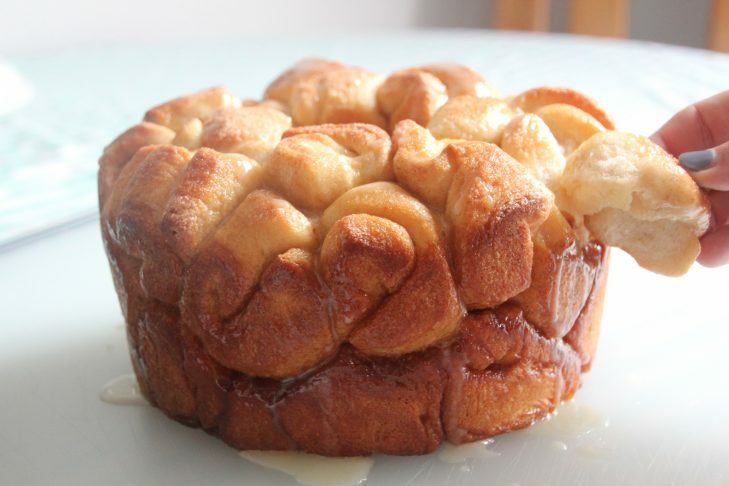 As monkey bread cooks, make glaze: Whisk together confectioner’s sugar, honey and milk in small bowl. Remove pan from oven and let cool in pan for 10 minutes. Turn out onto serving platter. Drizzle glaze over top. Serve, pulling apart with child-like enthusiasm. 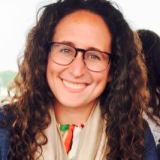 Mari Levine is a freelance food writer and an editor for America’s Test Kitchen, where she combines her journalism and culinary degrees from Brandeis University and Johnson & Wales, respectively, with her restaurant and lifelong eating experience. When she’s not working hoisin sauce into everything she eats or binging on anything sandwiched between two slices of bread, she can be found on her bike, engrossed in a documentary, or playing sports that involve throwing and/or catching a ball (the latest: flag football).